Travel season is in full swing, with many putting the final touches on their upcoming summer vacations. The flights may be booked, but finding that perfect rental can pull it all together. 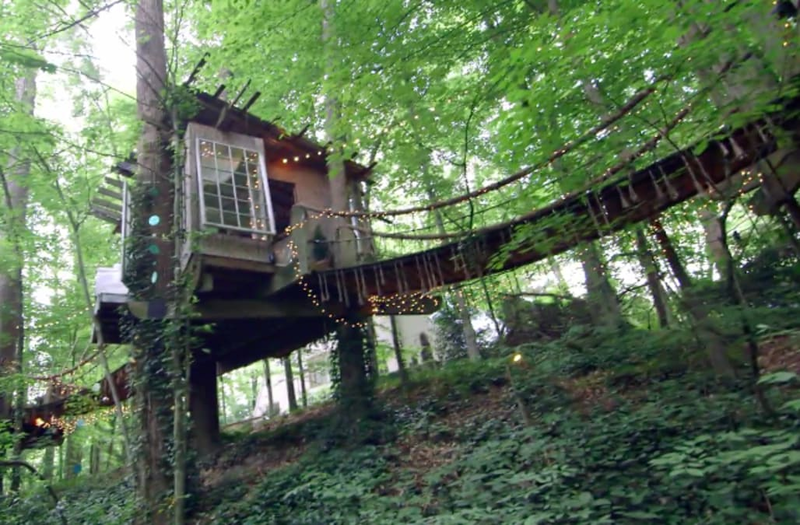 In the newest episode of AOL's Dream Vacation Homes, viewers discover a real-life treehouse where visitors can stay overnight. The Secluded Intown Treehouse sits nestled in the forest just outside Atlanta's city limits. Built around seven different trees, this home features everything from a reading nook to an outdoor bedroom. If this is your dream vacation home -- you can book your stay on AirBnB.